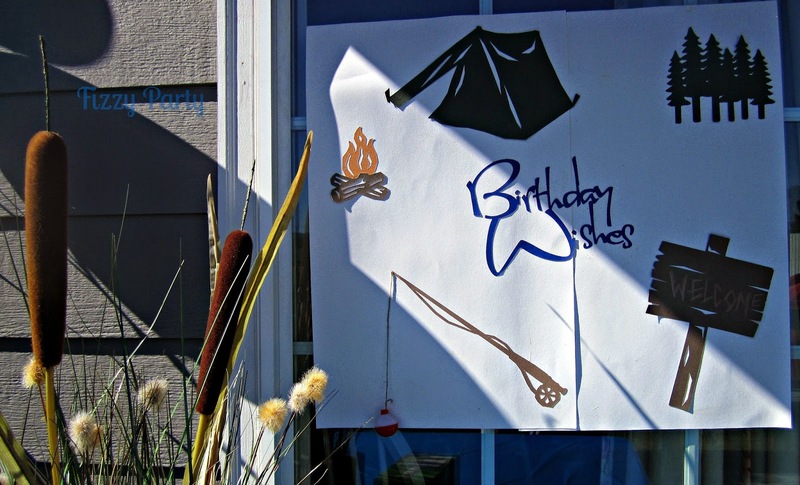 Grab your bait and fishing rod and join me for a Fishing Birthday Party. My cousins girlfriend did a great job on this party. With a Cricut, Pinterest and a little in put from me, Kirsten threw one fun memorable party. Even my cousins friends were commenting on all the great details. I don't think you understand how amazing that is. Guys, GUYS commented on the details. Ladies, you understand the significance of that. This adorable invitation arrived in my mailbox and set the theme for the party. Kirsten made this with her Cricut. 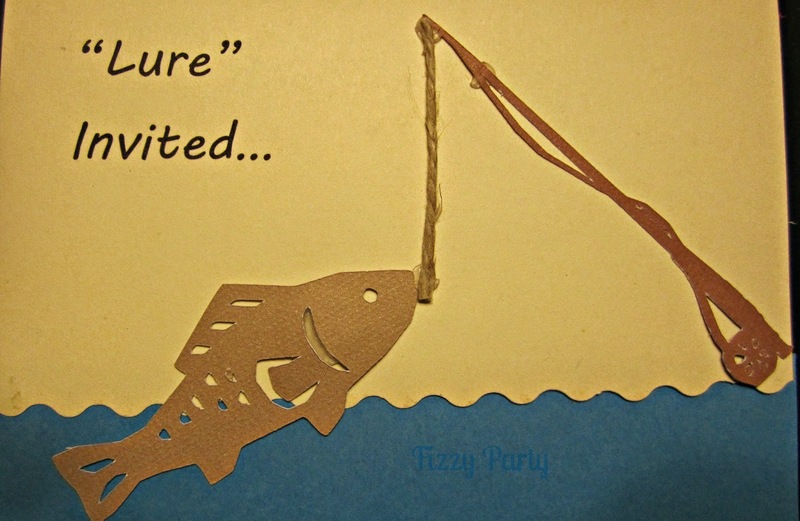 I love the play on words and the jute fishing line detail. I doubt these details were noticed by my cousins friends. Keep scrolling for the details that they did notice. When you pulled up to the house this giant sign directed guests to where the party was. Another cute play on words. This sign was created using the Cricut, I really need to get me one of those. The jute fishing line attached to a real bobber added a fun touch and the cattails and reed grass made you feel like you were out on the water waiting for the fish to bite. 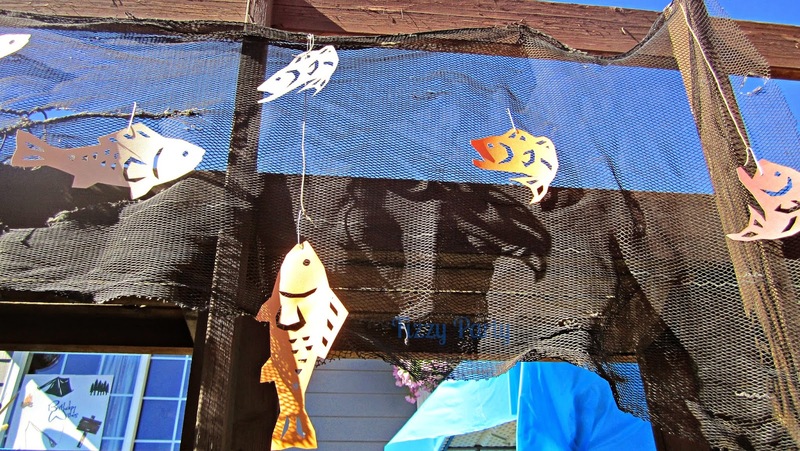 The deck was covered in fishing net and we attached Cricut cut fish with hooks. The haul for the day looks pretty good so far. 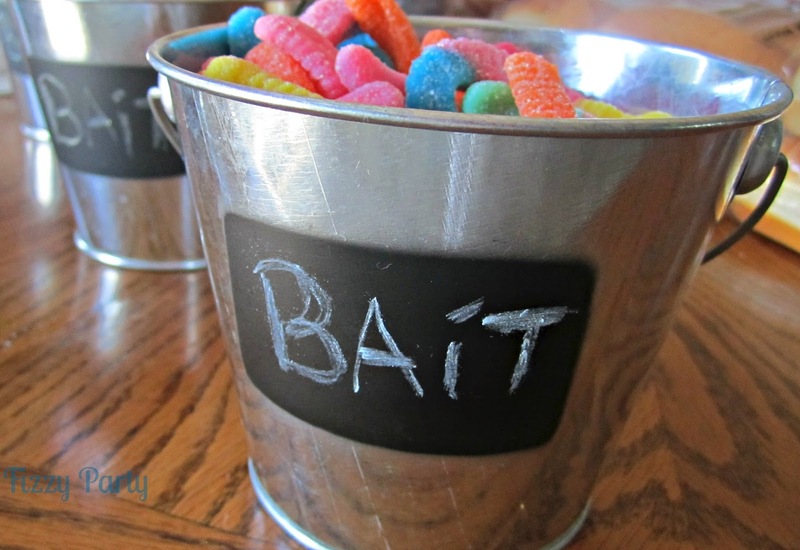 These bait buckets were a hit with the kids. Filled with sour gummy worms, regular gummy worms and other candies. The bait buckets were found in the Target dollar section and we wrote on them with chalk. A fishing party wouldn't be complete without fish to eat. 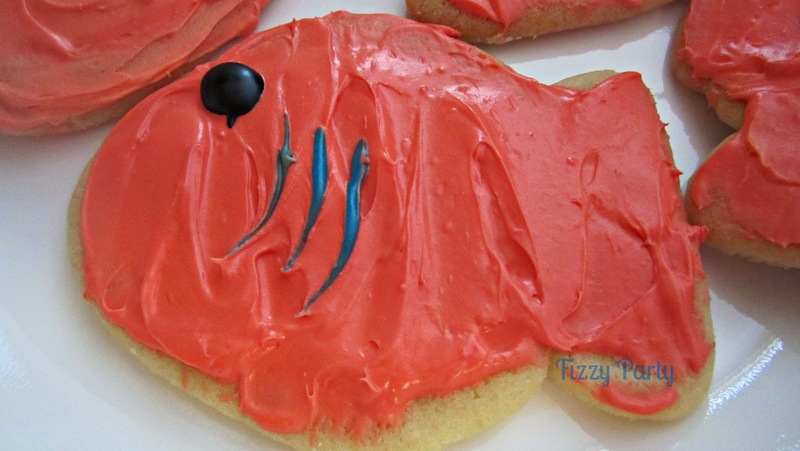 We frosted these in a lovely shade of Salmon. Now THIS is a detail the men noticed. 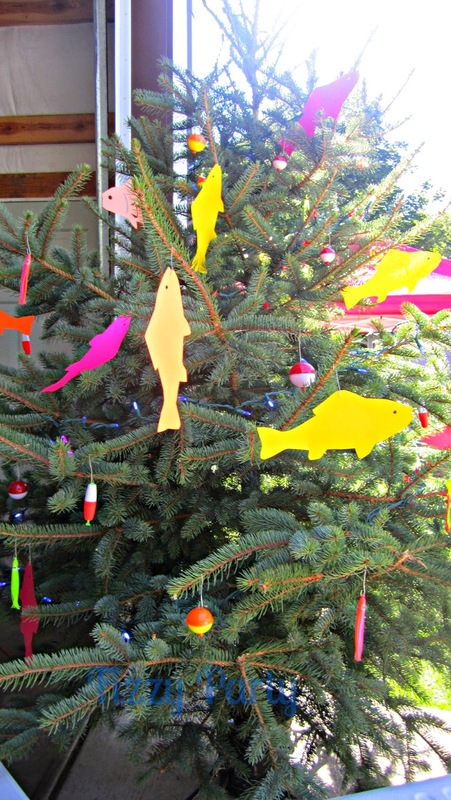 The fishing bobber lights and fishing tree. My cousin had recently cut this tree down in his yard and we decided to make it a party prop. Cricut cut fish, bobbers and bait of several different varieties. The men really liked this tree. 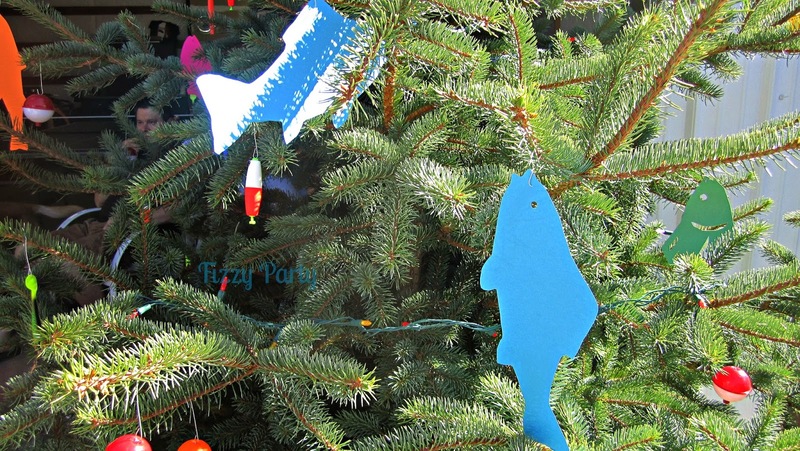 Thank you Kirsten for inviting me to this fun fishing themed party. I hope all you readers got some great ideas from this party. Fish On! This is so cute! 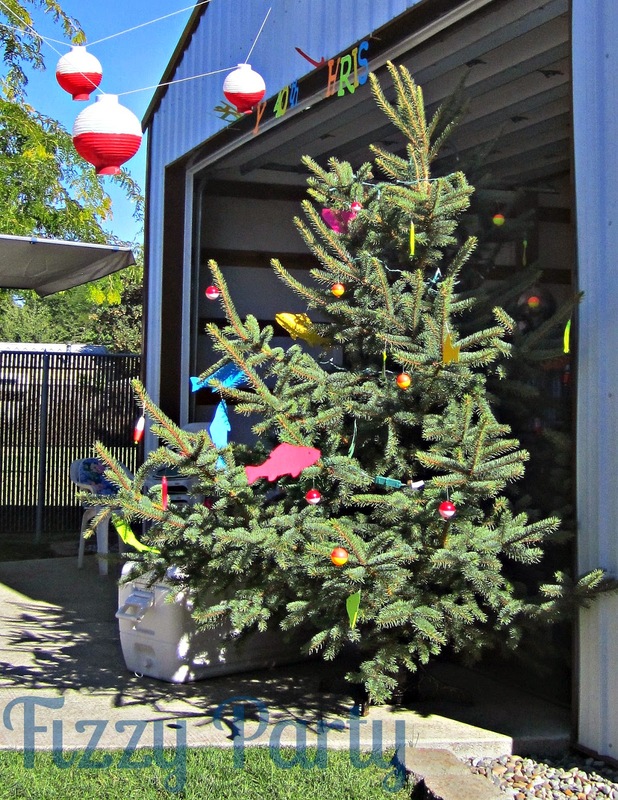 My son and all my nephews love fishing, and this would be a great idea for any of them! What fun! And yes, the fishing bobber lights are awesome! Thank you for stopping Bill. This is definitely a party a man would enjoy. Isn't that an adorable idea. I know she saw that on Pinterest and knew she had to include it. The kids loved it. Very cute! I could definitely see this working for many a boy/man! Exactly. My cousin loved it. That is so cute! I love fish. I have a shark party for my birthday. I will have to steal some of these ideas. I also need a cricut! A shark party would be so fun Sarah! I would love to see some pictures from it. This is so cute! I would have never thought about having a fishing party. 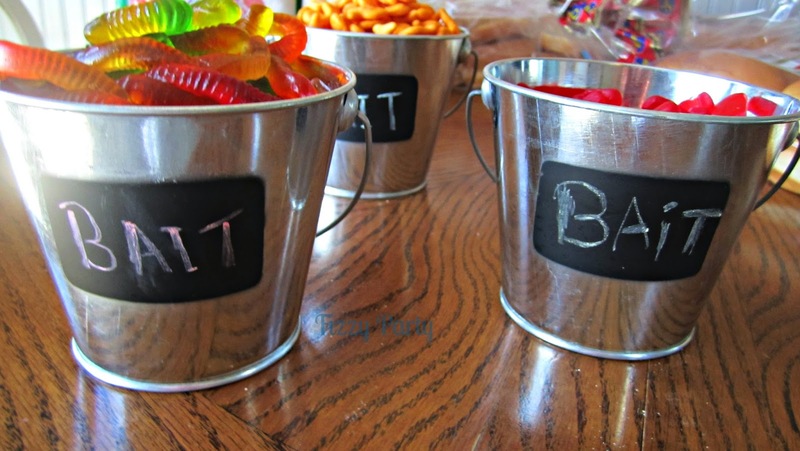 I love the bait/snack bucket idea!